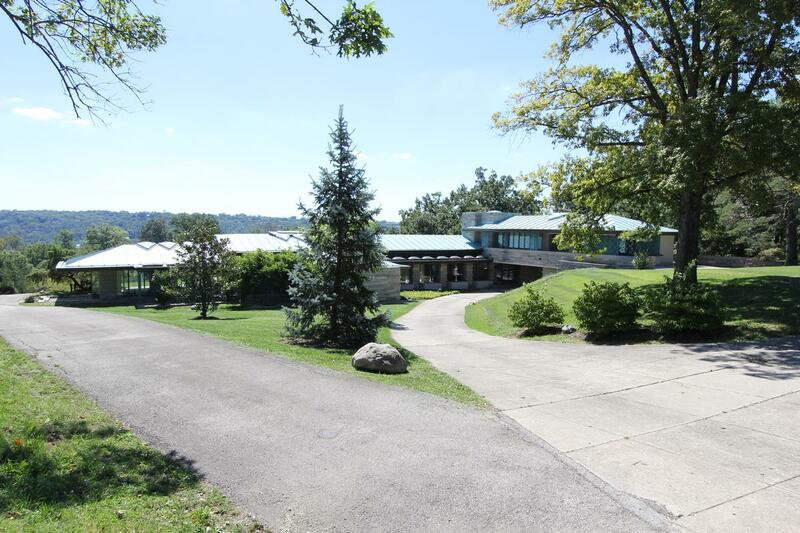 Designed by one of Frank Lloyd Wright’s employees John deKoven Hill, the Corbett Estate in Cincinnati is a prime example of unique mid-century architecture with a distinctively Wrightian appeal. 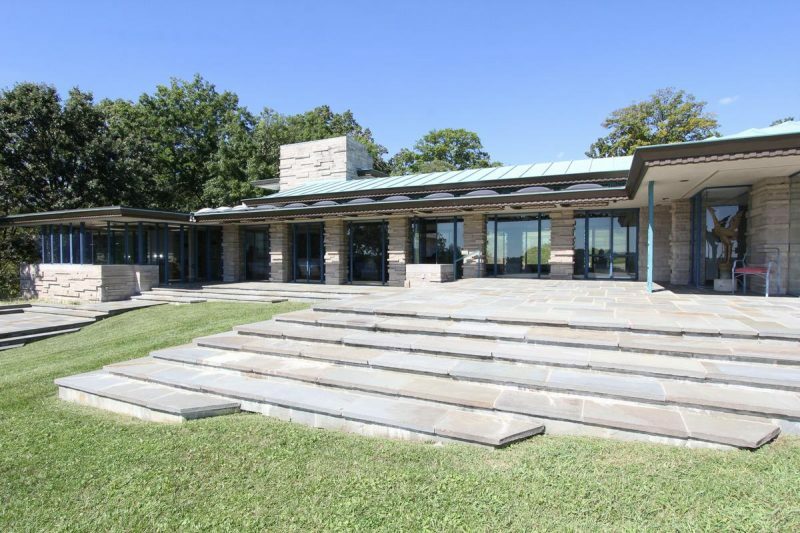 The home is the former residence of local philanthropists, Ralph and Patricia Corbett. Mr. Corbett was the founder of NuTone who later sold the company in 1967. He and his wife dedicated the last years of their lives to the Corbett Foundation that supported the arts, education, medicine, and community activities in Cincinnati. The property is located in the Hyde Park area and boasts a river view. 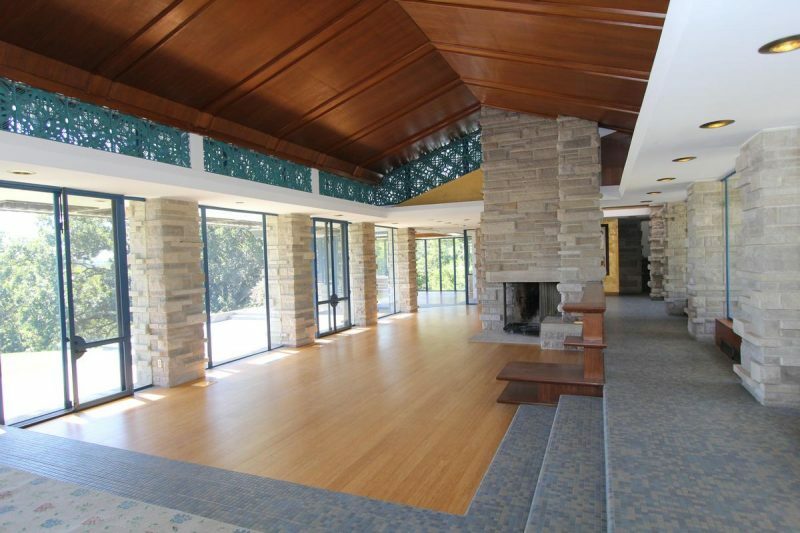 The home’s design was deemed very progressive when it was built in 1958-59, and it was published in the February 1960 issue of House Beautiful as a representation of the house of the future, a “Pace Setter home”. The magazine dedicated over 100 pages to cover the unique features of the residence, and world-renowned architectural photographer, Ezra Stoller, captured the essence of the home in a catalogue of images. The living room has a step-up stage with a soundboard area underneath and the vaulted ceiling was chosen to provide ideal acoustics for the owners, who enjoyed inviting musicians over to perform. 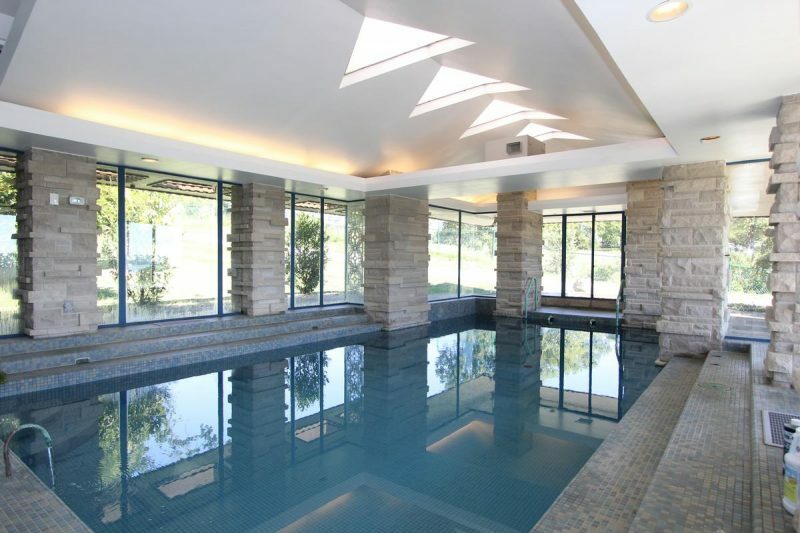 The four-bedroom home also has a magnificent indoor pool with architectural details and plenty of windows. 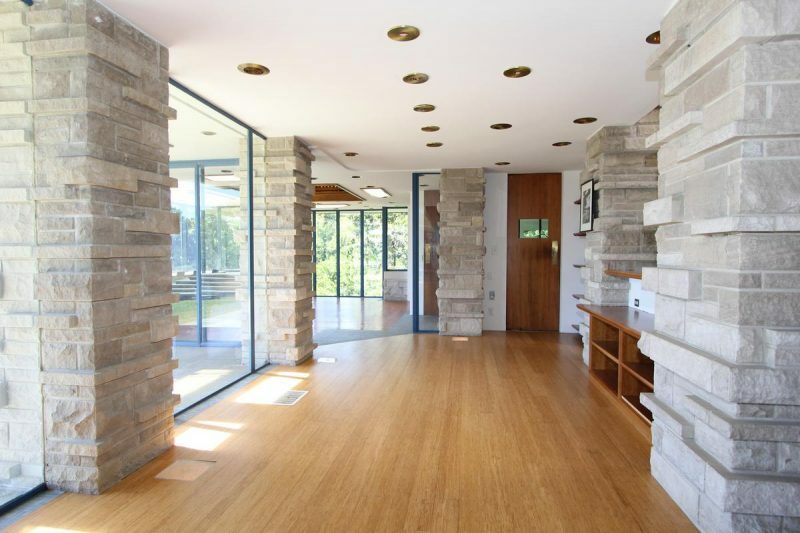 A combination of stone and wood and glass contribute to the natural beauty of the home. Many original details remain. The kitchen has been updated and the original kitchen was sold in an auction by Everything But The House in 2012. This architectural legend has been featured in a variety of architectural tours. This property is listed by Sibcy Cline Realtors for $2.6 million and is showcased by Luxury Portfolio.